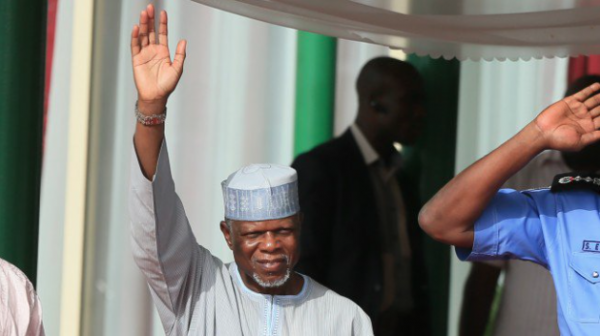 The Comptroller-General of the Nigerian Customs Service, Hameed Ali, did not appear before the Senate on Wednesday to brief the lawmakers on planned action on vehicles without duty payment. But in accordance with Section 89 of the 1999 Constitution, the Senate resolved to “compel” Mr. Ali to appear on Thursday “to state his case”. The Customs’ planned policy to impound vehicles without duty payment has been suspended, the service announced Wednesday morning, in obedience to a Senate resolution. But the Senators were not satisfied. They insisted on Mr. Ali’s appearance, regardless of the announcement to suspend the policy which set him on collision course with the Senate. 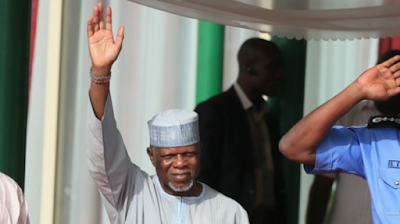 On Wednesday, just after the Senate dissolved into committee of the whole to receive Mr. Ali, who did not appear eventually, Senate President Saraki read a letter dated March 14 from the customs boss, disclosing the decision the duty payment policy. But he recommended legal opinion to himself and the Senate on the compulsion to appear before the Senate in uniform. According to Premium Times, in the letter, he told the Senate he was bereaved, therefore citing reason why he could not appear today, Wednesday. ‘Bereavement’ was Mr. Ali’s second excuse. In his first letter to the Senate earlier on Tuesday, he said he had to attend n NCS management meeting about same time he was expected to be at the Senate.Kabiru Marafa, APC-Zamfara, was the first to react to Mr. Ali’s failure to appear on Wednesday. Then, George Sekibo, PDP-Rivers, spoke, urging the Senate to invoke the Section 89 of the Constitution which granted the legislature power to issue warrant of arrest in the event Mr. Ali fails to appear. Efforts by the Senate Whip to amend Mr. Sekibo’s motion were rebuffed by his colleagues who shouted him down, showing apparent rage. The motion was later seconded by Deputy Senate President Ike Ekweremadu without amendment. The confirmation hearing of Ibrahim Magu as the substantive chairman of the Economic and Financial Crimes Commission is now underway.